This summer members of the Westmeath branch volunteered with BirdWatch Ireland’s Westmeath Swift Survey – which was carried out with the support of the Heritage office of Westmeath County Council – and with volunteers from various Tidy Towns groups across the county. 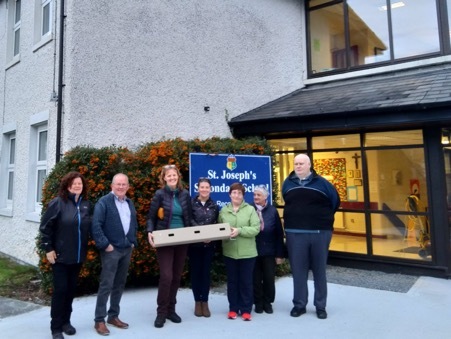 Following on from that survey – the Westmeath branch is sponsoring three swift nest boxes and lure systems in Moate, Rochfortbridge and Kinnegad in order to provide additional nesting sites for swifts in these localities. 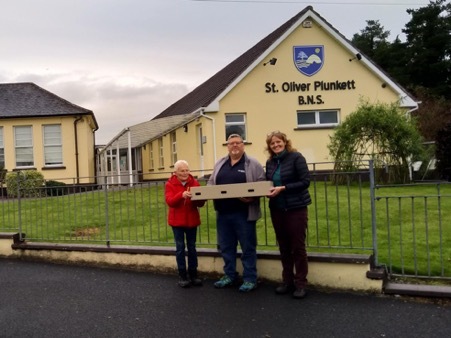 On Thursday evening members of the Westmeath branch presented the nest box systems to representatives from Moate and Rochfortbridge Tidy Towns committee who also helped out with the nest surveys this summer. 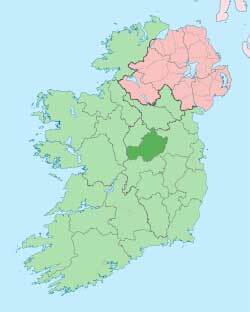 A third system will be presented in Kinnegad in the coming weeks. These boxes are funded by donations made by members of the Westmeath branch of BirdWatch Ireland at our monthly meetings throughout the year. Our next meeting is October 11th, 8pm Bloomfield House Hotel – when our guest speaker will be Pádraic Fogarty of the Irish Wildlife Trust – further details will be posted here next week. All of our events are free and open to all. Nest boxes and lure systems are supplied by Genesis Nest Boxes.